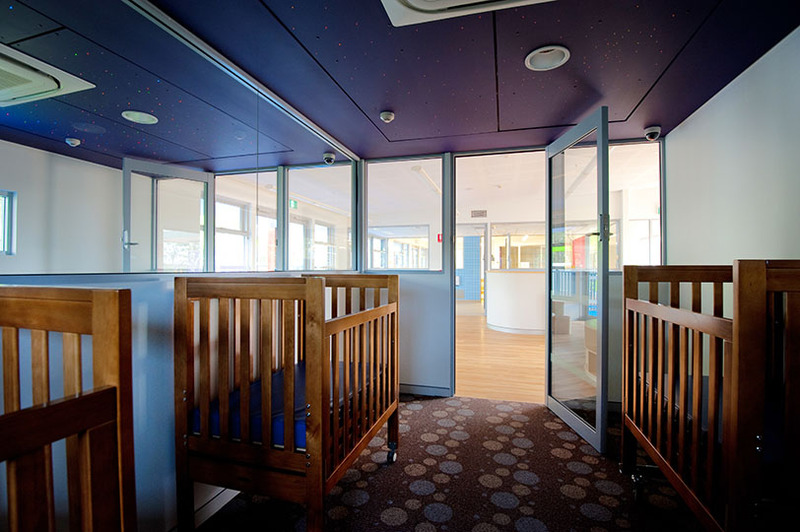 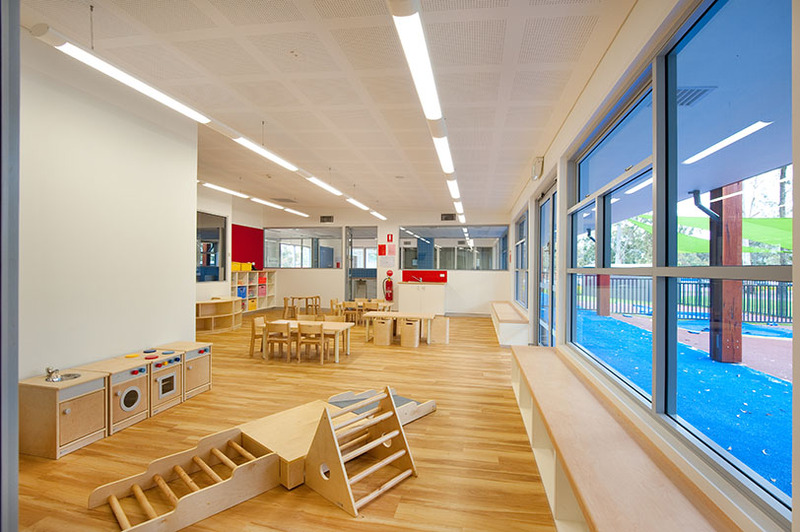 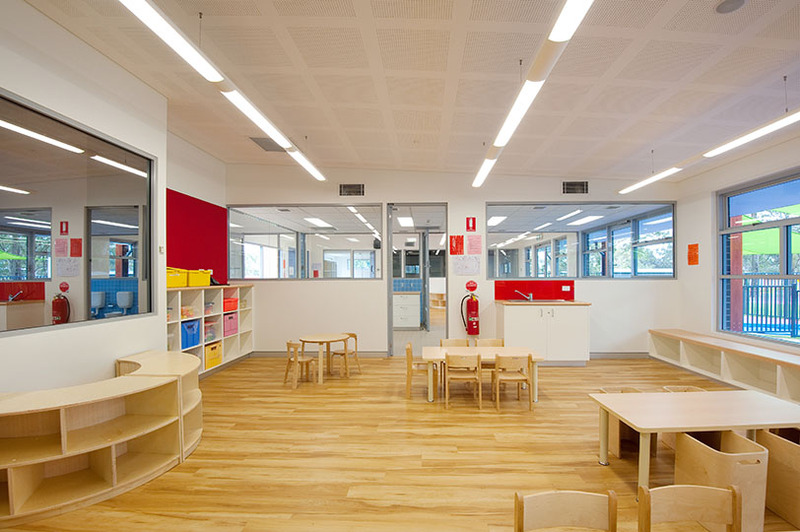 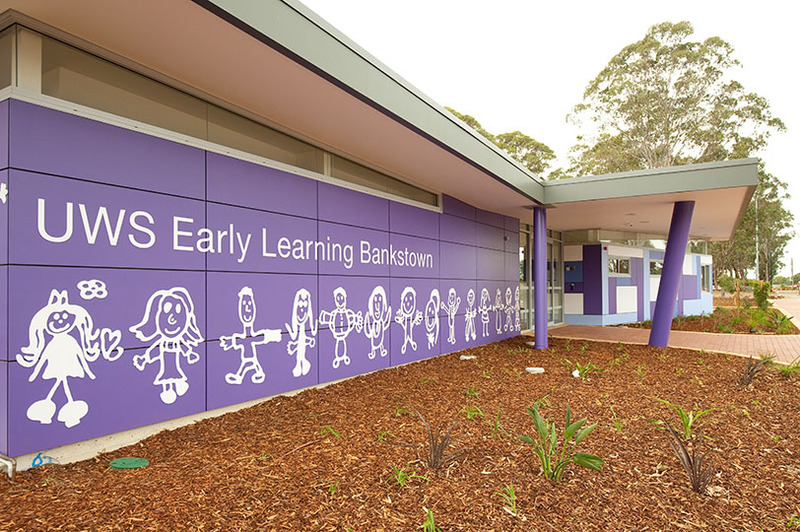 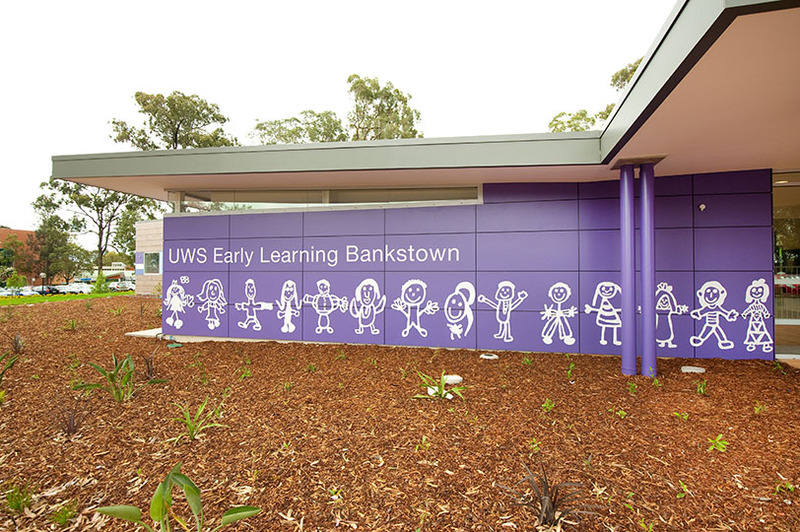 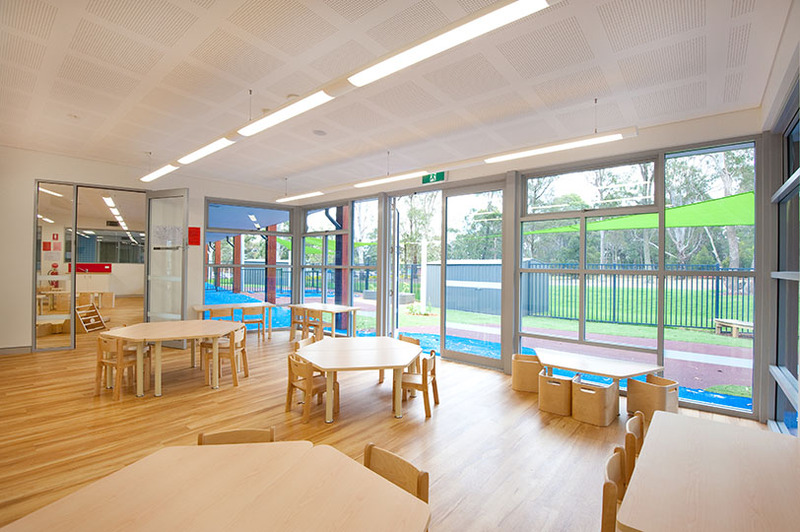 The project brief was for Grindley to construct a new child care centre, located on the Western Sydney University Bankstown Campus. 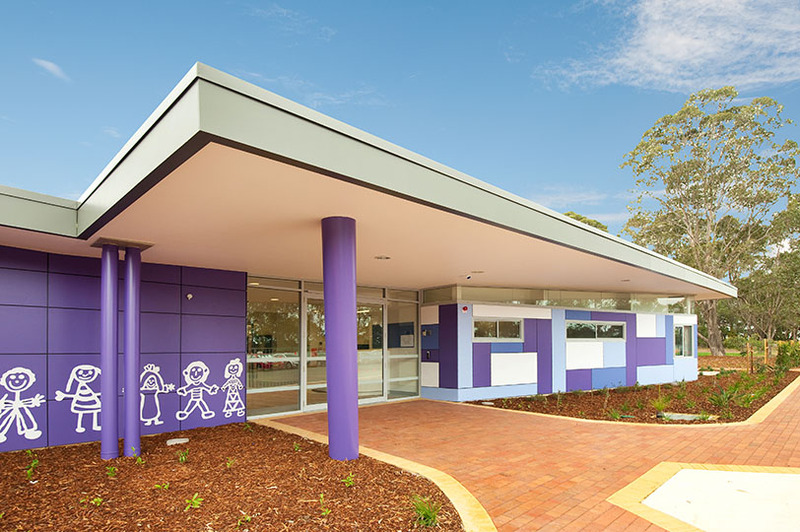 The building stands on a concrete ‘wafflepod’ style slab-on-ground. 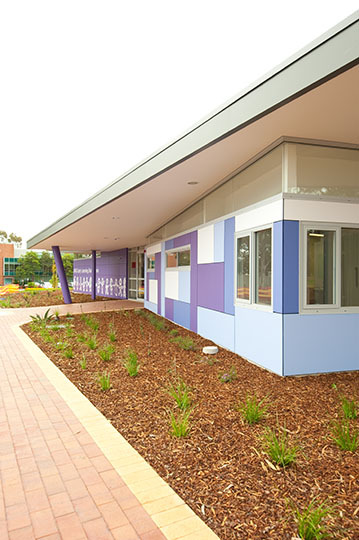 Load bearing walls and roof structures were constructed by the use of a light-weight prefabricated metal frame and truss system, externally clad with random sized painted vitra-panel sections, as well as a new type of poly-composite cladding called “Fundermax”, which is a European polymer resin type cladding material, surface-coloured to look, and feel, like timber planks. 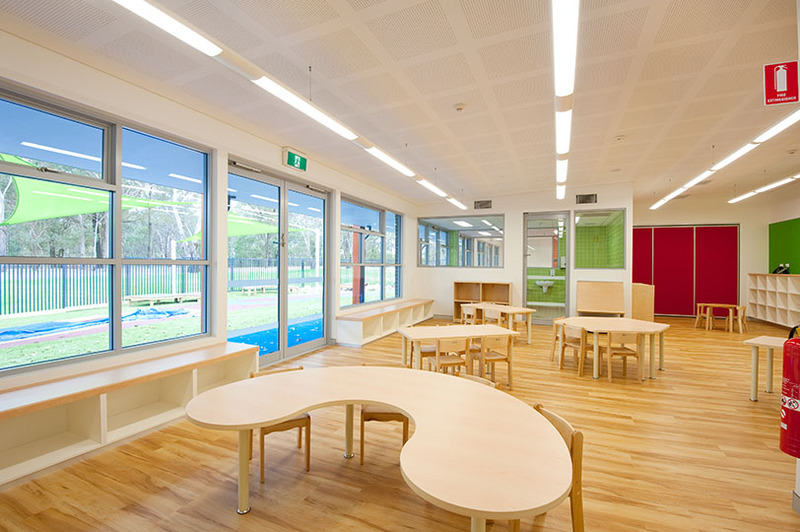 The Centre is divided into four main zones for children of various age-groups, with a full commercial kitchen and dining room, specially outfitted children’s bathrooms and toilets, administration offices and staff amenities, a full-size laundry and drying area, as well as meeting and consultation rooms for parents and teachers. 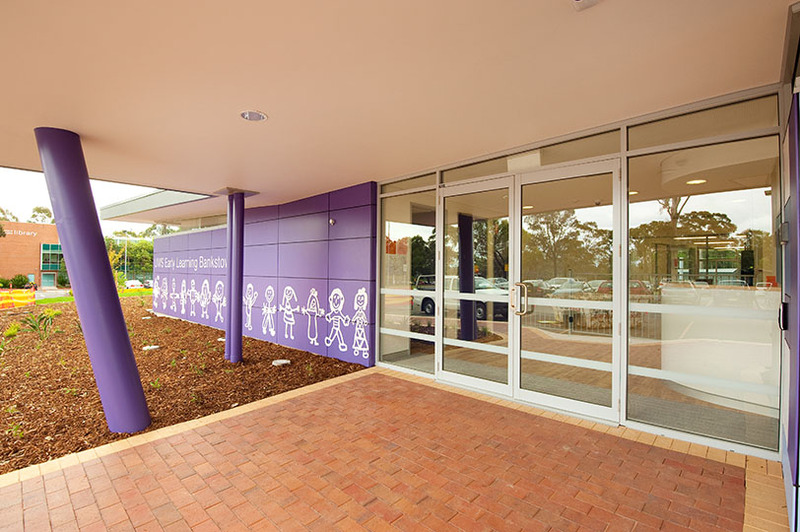 It is fully air conditioned, as well as boasting state-of-the-art security systems and data networks all centrally controlled at Campus Security through the Building Management Control System. 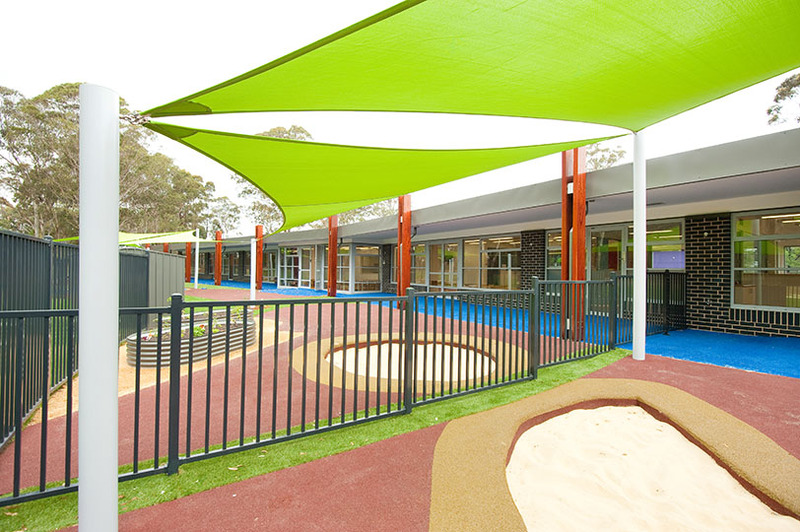 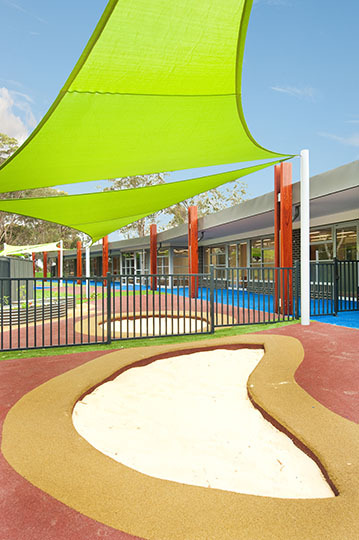 Adjoining the building is an extensive purpose-built playground area, covered by brightly coloured shade sails, boasting sand pit areas, vegetable gardens, recycled rainwater tanks and artificial turf and rubberized soft-fall ground cover throughout. 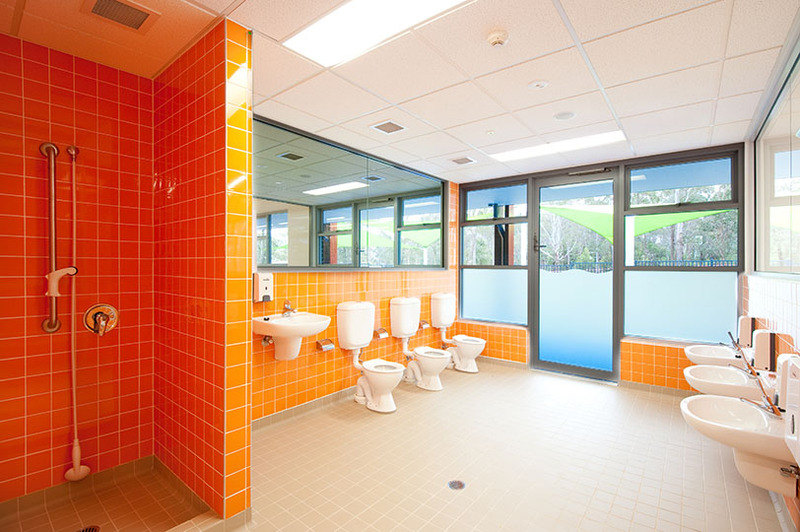 Grindley also took on, and completed, an extension of the Campus' mains power infrastructure as well as hydrant mains extensions.